Does anyone know where Silver Springs and Anadarko were meant to be? Or are these possibly just locations for a future DLC perhaps? 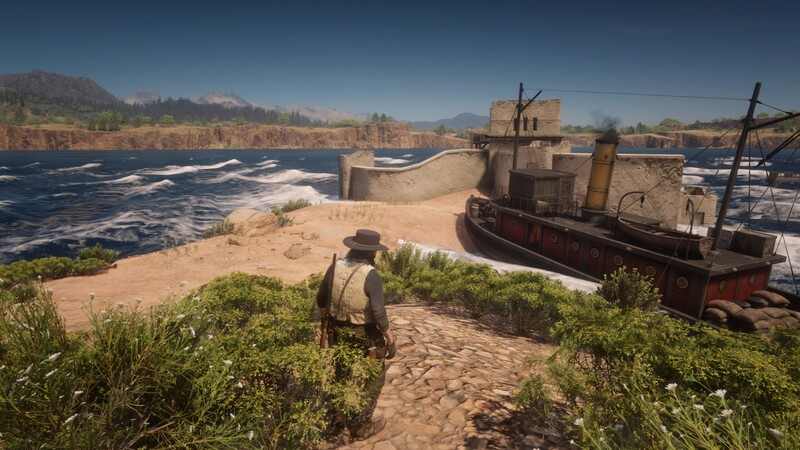 During the epilogue one of the newspapers you can buy has an article about the Tallullah Jetty gang and both of those above locations are mentioned. I know Tallulah Jetty appears on the beta map but I dont think the other locations do. Interesting. Written on the back of the photograph of Arthur’s mother, at camp, is another location; it was common in that day to note the location of a photograph. I forgot what it was called, but it’s on the back and I don’t believe it’s on the map! On the subject of places that have changed from the leaked map, I investigated the location of the Gang hideout/Gang Camp on the map next to St Denis named 'CRLard Slaughterhouse'. There is however a slaughterhouse called Prinz & Co across the water, but it doesnt line up with the leaked map. The name Silver Springs directly makes me think of the location Iron Springs (Arizona) in CoJ:G. As a mountainous forestry region, it would make sense if Silver Springs (if it is based on Iron Springs) was originally meant as a town in Ambarino, or could be one in the future. Silver Springs could also be a reference to Stinking Springs (New Mexico) from CoJ:G (where Billy the Kid was captured). A desert area would make more sense then and both Silver Springs or Anadarko could be near Canyon City (in the state (north) west of New Austin. Would also explain the desert pic from the credits, in which the gang is in a desert area (since they never went to New Austin as a gang). Yeah, I thought the same thing... McKnight is built as a gameplay fort (and not used!!). Whereas the Slaughterhouse slightly northwest is another interesting, unused place. I could easily imagine the McKnight was meant to be the gameplay spot on the leaked map. Overtime it changed narratively. IYou can also use the mapscreen to see places they drew which are now blocked off... the one I'm thinking of is the small alcove next to the ramp leading down to the treasure tunnel. They have it blocked off with boxes now, yet the map shows side spaces. I poked around the Prinz & Co place a couple days ago. It looks big enough to easily contain an interior at some point. Coincidentally... I found the railroad handcar for the first time next to McKnight and had some fun rolling it up to Prinz & Co. I'm not sure I have the stamina to roll it to the other side of the map. Where does Canyon City get mentioned? Interestingly, All the McKnight buildings have Cornwall slapped all over them instead before the game is completed, as well as online. Maybe that had something to do with them removing the hideout/camp from that location. They obviously wanted Cornwall to look more like a tycoon instead. I'm trying to get as much seen & documented as possible before the next patch, since i'm guessing this easy wallbreach will be gone. 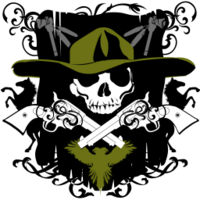 Have you checked the other thread v1.00 advantages? Maybe you can still perform this glitch after the update if you check there. Oh yeah of course i could roll back to vanilla if needed, but the evolution of glitches happen when people resort to new ways of thinking. We'll probably find new things when the old ways get patched out. But yeah, if however i feel the need to, i will. I wish there was a way to glitch the hot air balloon out and fly it anywhere. I figured the balloon was scripted on a path and the player only has the ability to go up and down. However you know there's some developer cheat that allows you to simply fly the camera through the world. It would be nice to have an actual balloon system you can truly pilot though. And the ability to jump out or drop stuff, haha! Does that road coming from shady belle at the bottom closer to shore go right into saint denis in final? I was playing around in what I thought was some kind of negative-Guarma and captured this video. 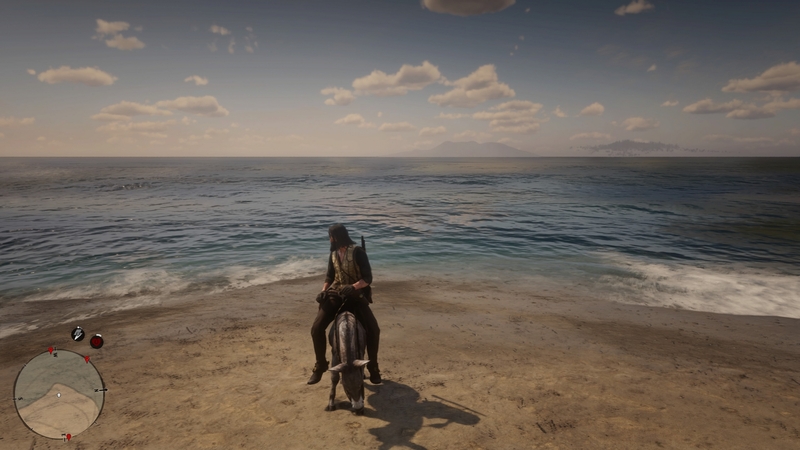 Shortly after this I tried to get to the floating rock formation at the end of the video, but I died after falling onto some randomly spawned land that looked kinda like Guarma but was also somehow different. I should have gotten it on video but I didn't think to until too late. 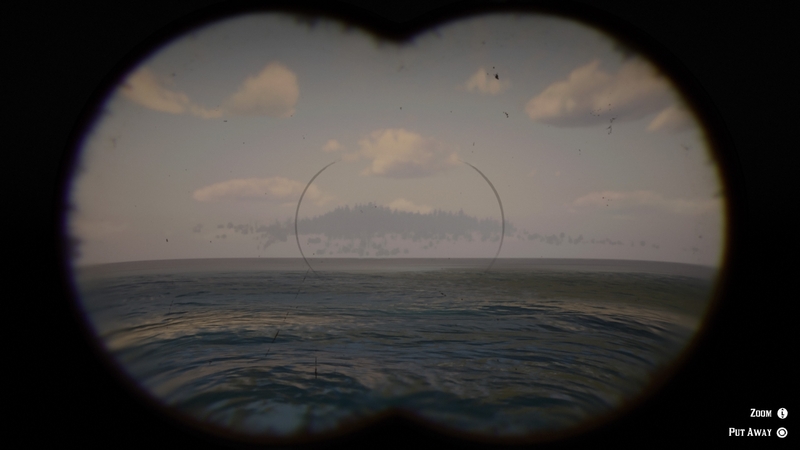 I'm familiar with the outskirts of Guarma and I don't think what I saw was that. I'll try to video again sometime. Does anyone know if this video is even near Guarma? I'm exactly South of Blackwater. So I found a way to get to NP by water. The San Luis River route doesn't work, I've tried that many times. I managed to get there by chance, and it seemed to work when I tested it again. I'll drop a guide here soon, once I've edited it all together. Same result as the rowing boat & the canoe. It doesnt work. The way i did it involves Guarma. 1. Start in Guarma and pick up a donkey. 2. Go North until you reach the normal map. 3. Ride over until you see El Presidio in the distance. 4. Swim on over to El Presidio (you will likely need to use a piece of land at one point to rest on the way over). Id like that full guide please, i want to flood Nuevo Paraiso and mess around. I actually saw some floating foliage in the north when i was trying this NP glitch out. It might even be in my footage. I don't know if thats the same place. It's North of the island. I also didnt know it was solid land if it is the spot. I think it might very well be the same way as Bobby West has explained. Didnt realise it was doable with the donkey. I found it by chance whilst going towards the NorthWest island. What are the Northwest islands? 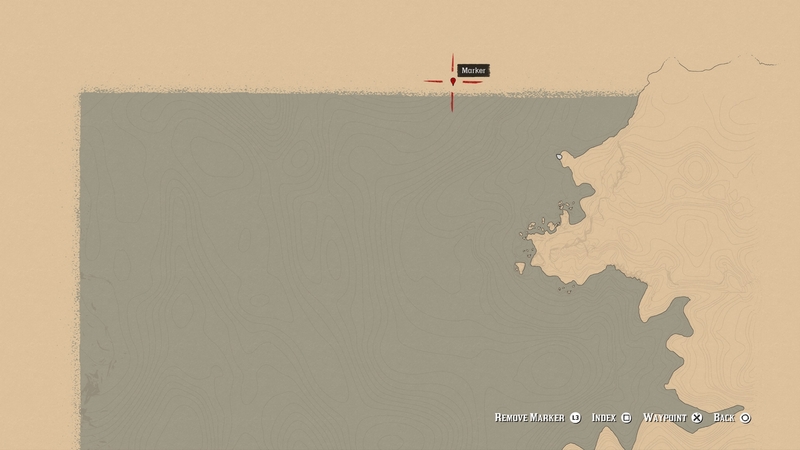 In the Northwest of the map There is an island out to sea. There's some floating land to the right of that. I tried getting to it, but when the two maps transition, i lost it, and couldn't seem to find any invisible solid land to stand on. Was that the same direction you found that land? so maybe I'll start in Guarma so I can get that map to load and I'll walk to the location. That should tell where on the Guarma map it is.